When you can’t teach Chemistry, teach empathy! With our beloved Chemistry teacher out sick, I tried to step in to cover classes. As an Arts major, I always promise teachers that when I “supply teach” in their classes, I won’t actually try to teach math or science. Believe me, it’s for the best! When a teacher is ill, it is a perfect opportunity to teach empathy. 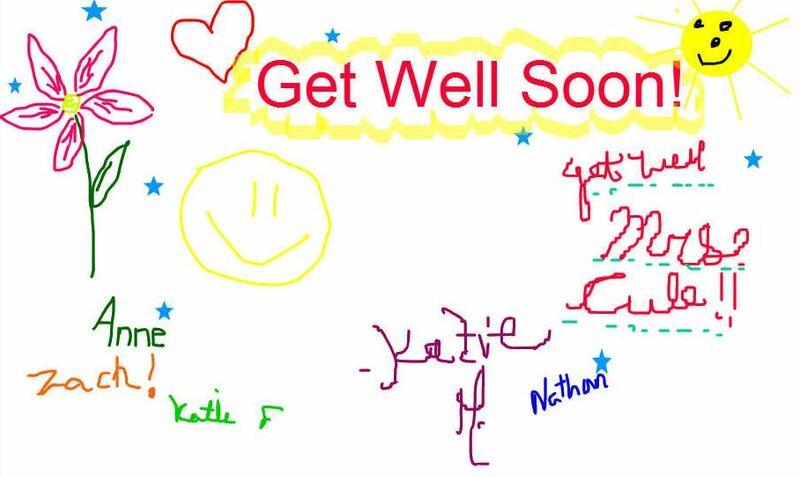 The students were given a few minutes at the beginning of class to think about how their online teacher must be feeling and to create a Get Well Soon card. 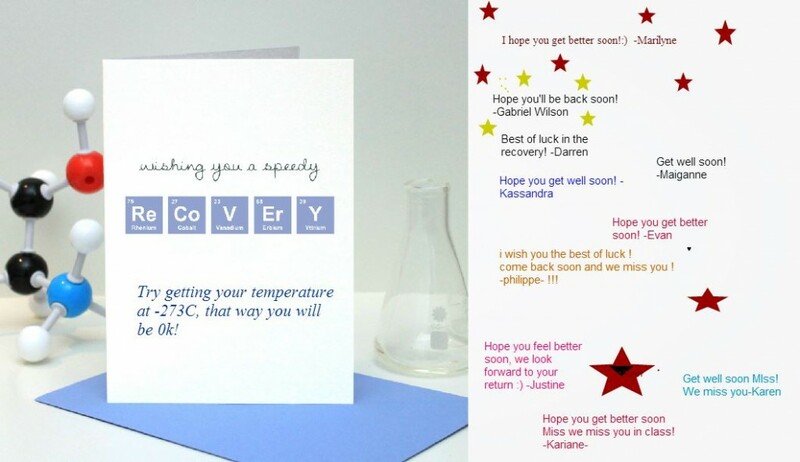 Get well soon, Mrs. Cule! One Response to When you can’t teach Chemistry, teach empathy! Awwww… I am so touched, you guys. Thanks so much for your kind wishes.